Moonlight in the Garden returns this November with more lights, more nights. Food trucks, live music, marshmallows and fire pits—they're all back. 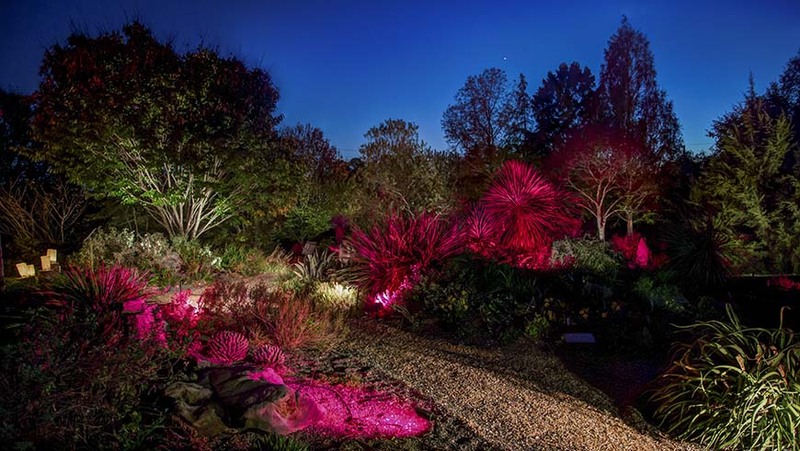 Don't miss the only opportunity to experience the JC Raulston Arboretum after dark. We'll open our gates each evening for you, your family and friends to explore this nighttime wonder custom designed and installed by John Garner and his team at Southern Lights of Raleigh. This isn't your typical lighting event. Moonlight in the Garden is meticulously designed to showcase our internationally acclaimed garden and all its splendor. You think our collection is spectacular by day? Wait until you see it under the cover of darkness artfully lit on a crisp November evening. It's an magical experience you don't want to miss. 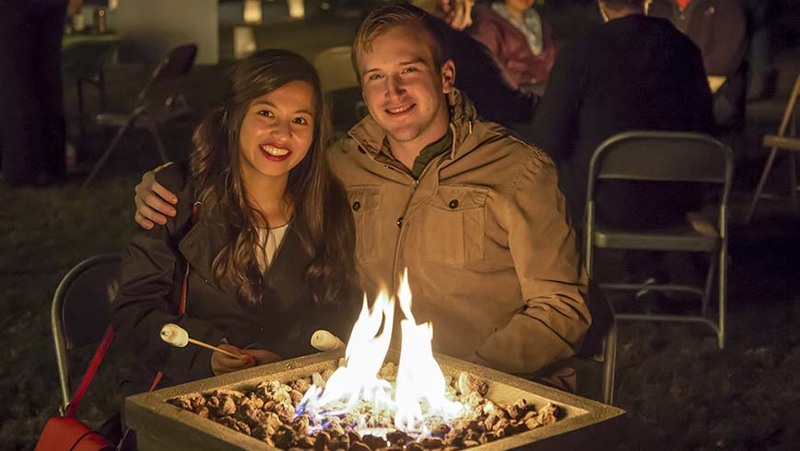 Bring your family and friends to stroll through the garden, listen to a live band, grab a bite to eat from a food truck, roast a marshmallow or two at the fire pits, and sip a cup of hot apple cider. All the while showing your support for the JC Raulston Arboretum. Moonlight in the Garden helps us raise the funds necessary to keep our gates open and our admission free 365 days a year. Come join us. Be inspired. Be delighted. Be in awe of the beauty of a nighttime garden. Get a sneak peek on November 7, during our Members Preview Night. 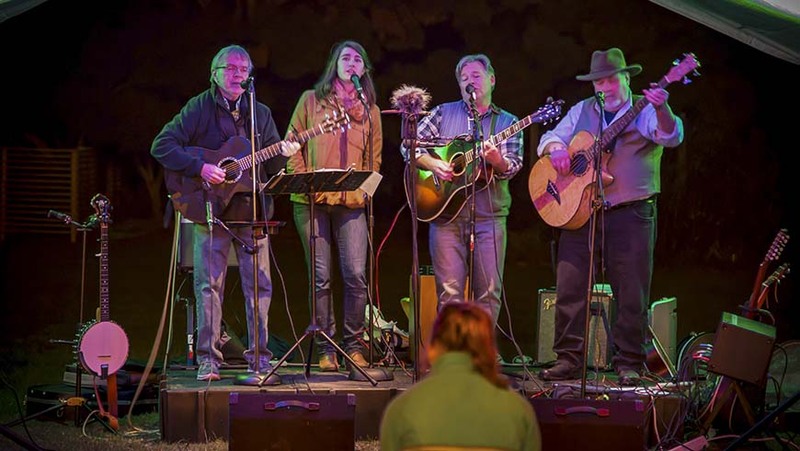 The Dogwood Blossom Band will be on stage and CockADoodleMoo and Chirba Chirba Dumpling will be on site for dinner. Our Members Preview Night will be the only evening when you can stroll the garden with a glass of wine or beer in hand. Advance tickets are required. For more details visit the Members Preview Night announcement. 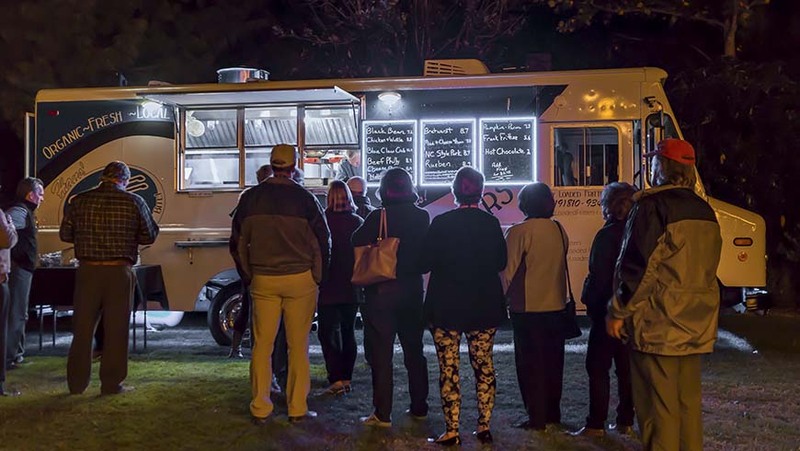 November 9 – Lyndy Bleu Duo alongside The Humble Pig, Fully Loaded Fritters, and Sarge's Chef on Wheels. JC Raulston Arboretum members can buy tickets starting Monday, October 2. General admission tickets go on sale Monday, October 16, 2017. Join today to get your tickets early and for the opportunity to attend our special member preview night on Tuesday, November 7. We have a few added treats planned for our preview evening. Proceeds from the Moonlight in the Garden will benefit daily operations of the JC Raulston Arboretum. Moonlight in the Garden is sponsored by and fund-raising efforts operate under the auspices of the North Carolina Agricultural Foundation, Inc., a 501(c)3 nonprofit (tax ID 56-6049304). The Maple Sponsors below provide financial support for our 2017 educational programs, research, and day-to-date operations. We are so grateful. $10.00 for members, $20.00 for nonmembers, and $5.00 for children 12 and under. General admission tickets are available at the gate. Free parking is available at the JC Raulston Arboretum, along Beryl Road and overflow parking at 512 Brickhaven Road, Raleigh NC 27606. Please call (919) 515-3132 for more information about this event.